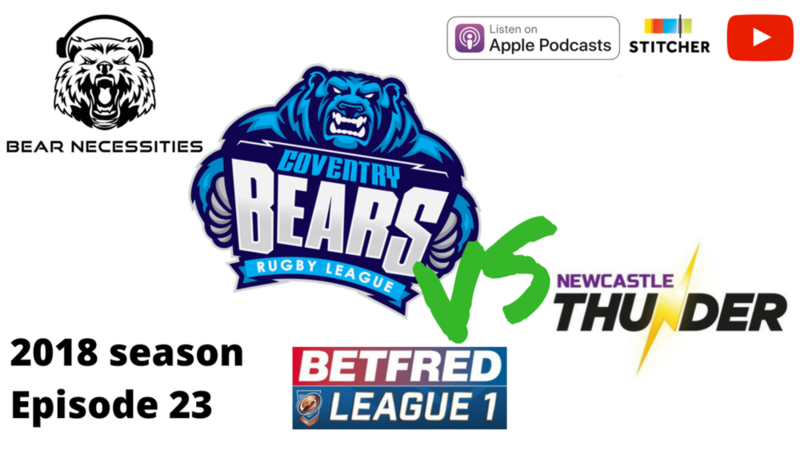 We’ve got the story of the Coventry Bears’ battling 46-12 defeat away to Newcastle Thunder, including the post-match thoughts of Bears’ head coach Tom Tsang. As well as the story of the game at Kingston Park, Craig will also reveal his Bears team of 2018 so far and has a brief USA update for you. Also, ignore how often we say this is going to be a shorter show than usual - turns out it wasn’t! And, don’t forget to subscribe so you don’t miss our special Bradford Bulls preview show that will be released this Wednesday!